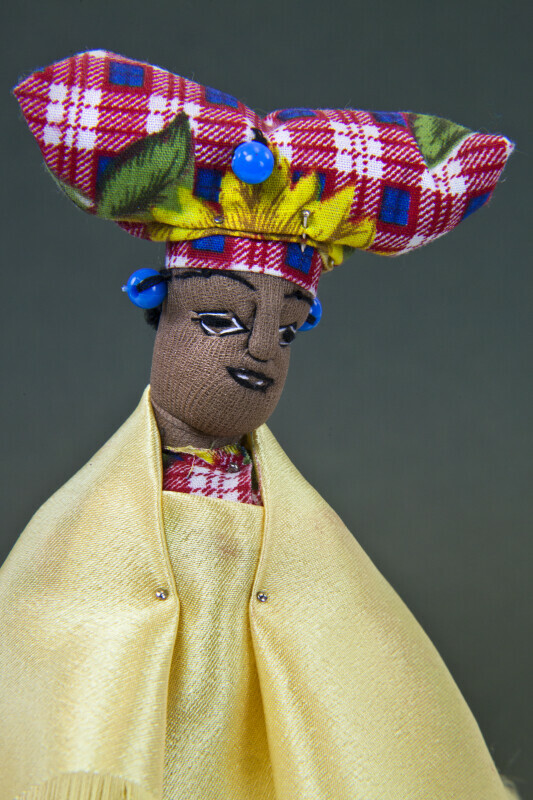 Female Herero brown fabric doll dressed in a yellow shawl and red and white patterned dress and headdress. She has earrings made from blue beads. Her facial features are embroidered on her fabric face. The Herero people live in Namibia. The long dress and shawl she is wearing were inspired by the missionaries who came to Africa from Europe. The hats are designed to resemble cow horns. The figure is 7 inches (18 cm) tall.